At the heart of being Christian, there is this core concept of following Jesus. The disciple follows his or her master, imitating the master and learning along the way. The church is in the disciple-making business, connecting people to Jesus and leading them in the process of walking in His ways. This discipleship process is never completed for any of us in this life—we are continually learning and growing as we follow Jesus until He brings us to our heavenly home. •	What does it mean to be a disciple of Jesus, a Christ-follower? •	What are the core marks of those who follow Jesus faithfully? What does being a disciple look like? 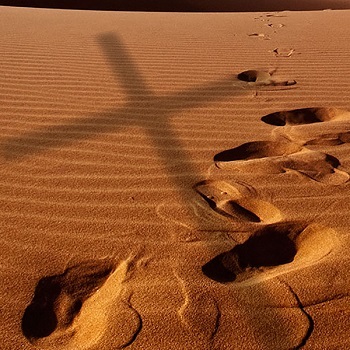 •	How are disciples shaped and formed as they continue to walk with Jesus? And we always remember that God’s design is not to make us out to be “cookie-cutter Christians”—rather, discipleship is a process, a life-long learning adventure. It is, at its core, the art of following Jesus every day, knowing that Jesus has promised to be with us always, expecting that we will “bear much fruit” as we remain in Him and He remains in us. New to Prince of Peace? Learn more about what to expect during your first visit to Prince of Peace. This site is hosted by GuardianHost Networks, L.L.C.